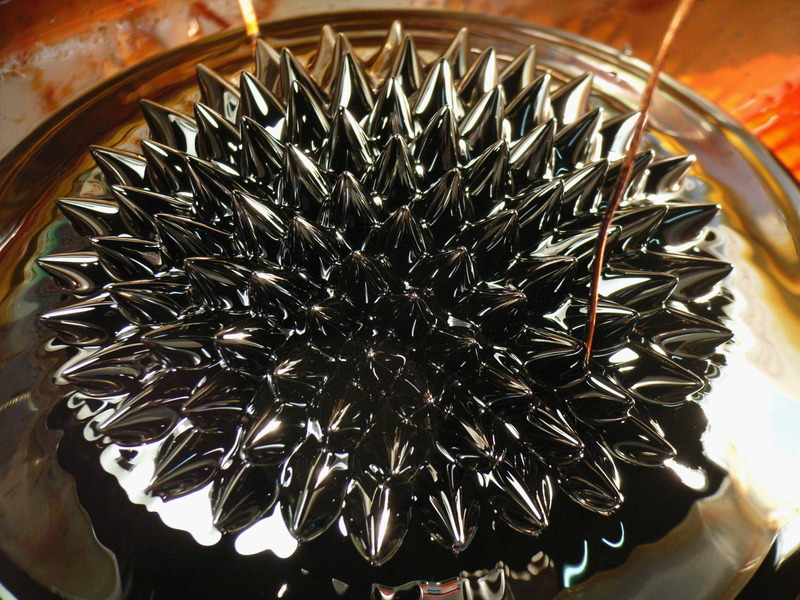 Ferrofluid 2004 A bizarre fluid that is magnetic made of nano sized magnetite particles contained in micelles in a mineral oil base. The really weird thing about it is the tendency for the fluid to form stable 'spikes' in a strong field. These will change with the magnetic field leading to different patterns of spikes as the field interacts. This stuff cost about AUD$100 for 100ml from the US. 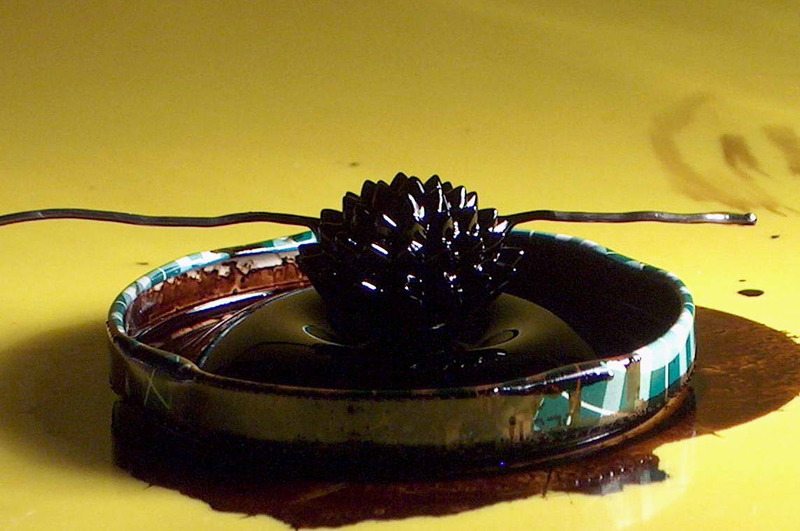 It is black and oily and will stain things readily. More photos once I clean up the mess from the last lot. My black stained hands made me look like a mechanic. 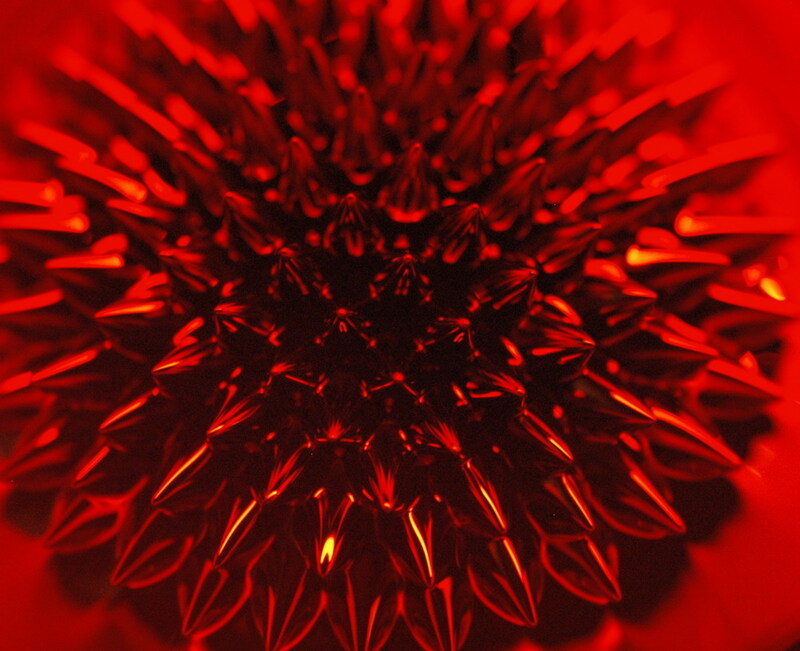 239k MPEG video. Run mouse over to play. 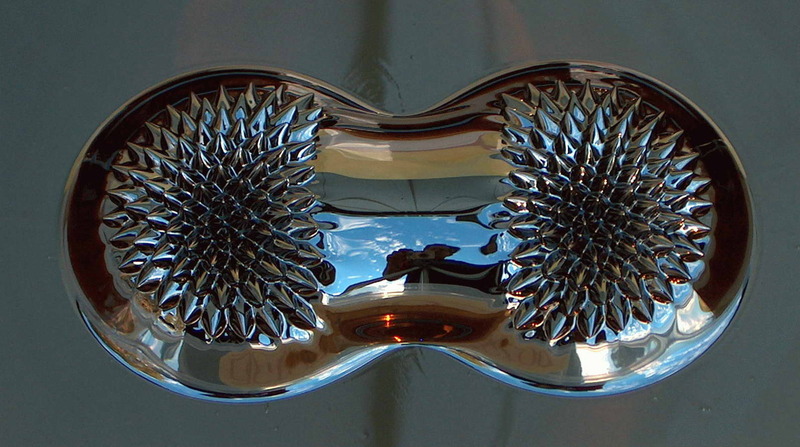 The top photo above shows a standard magnet under the container to produce the spikes. 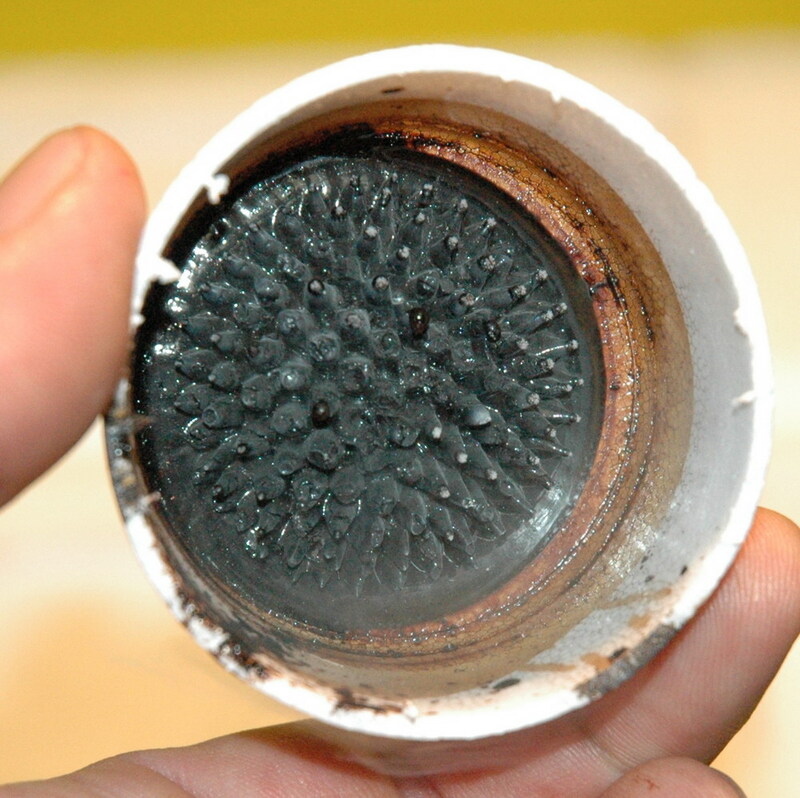 There is a copper wire electrode under the fluid and a single wire seen above but the voltage is not applied yet. 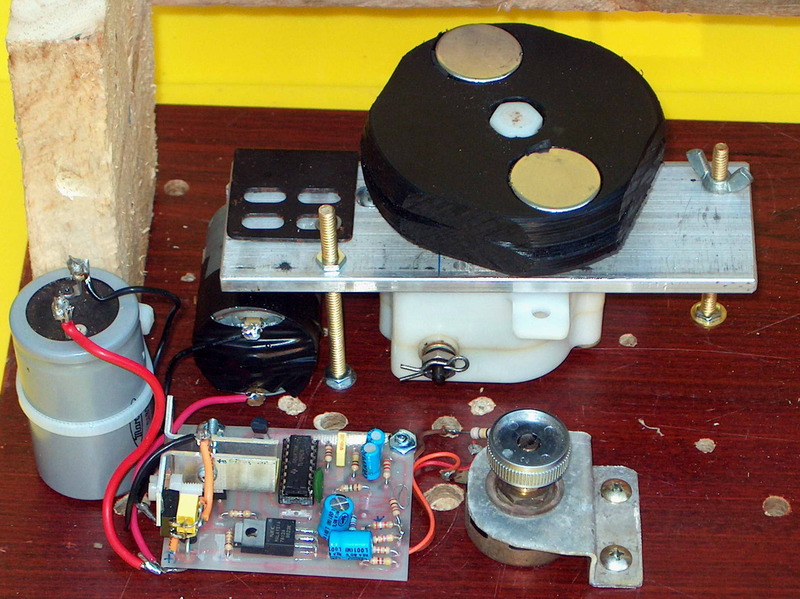 The middle video is activated by running the mouse over and here is the video with about 8 kV DC applied via a 10 Mohms current limiting resistor. 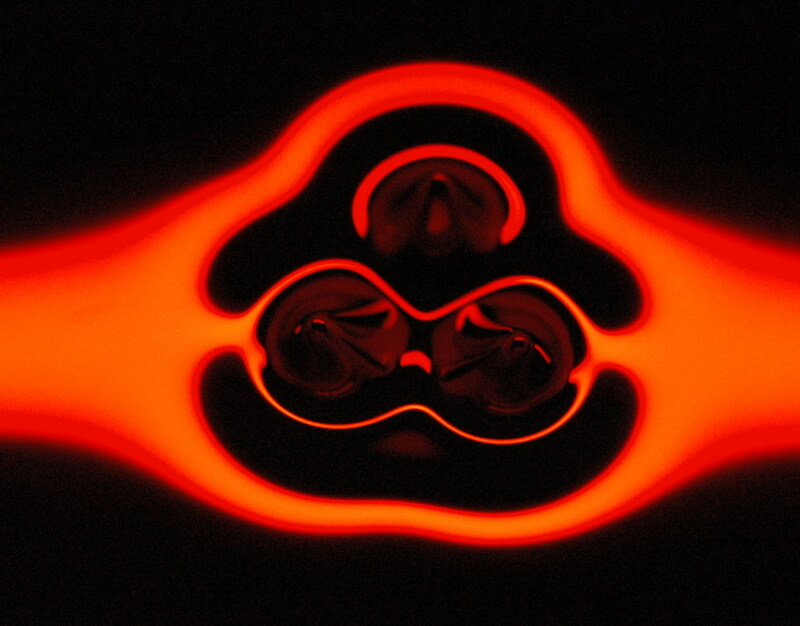 The spikes become agitated and seem to pick up enough local charge to move. 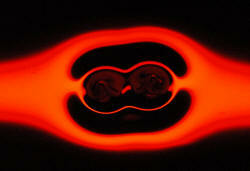 They can form a stream like a flag as they move away from the electrode. 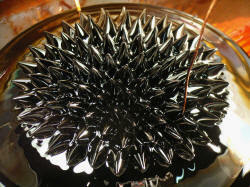 If there is too much corona it seems to denature the ferrofluid and form trails of debris. 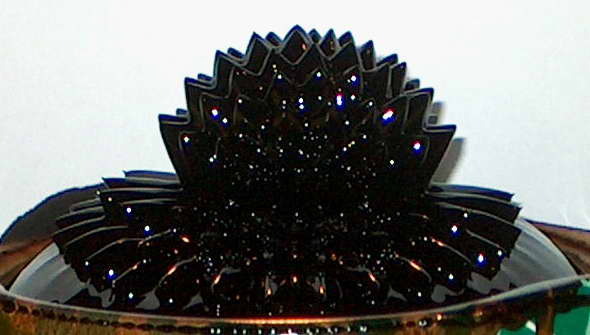 I haven't formed sparks near the ferrofluid deliberately since it permanently stains things and I was already getting a little spray. The bottom video is larger but better quality. I have frozen ferrofluid in liquid nitrogen. The left photo shows the frozen ferrofluid with magnet removed. 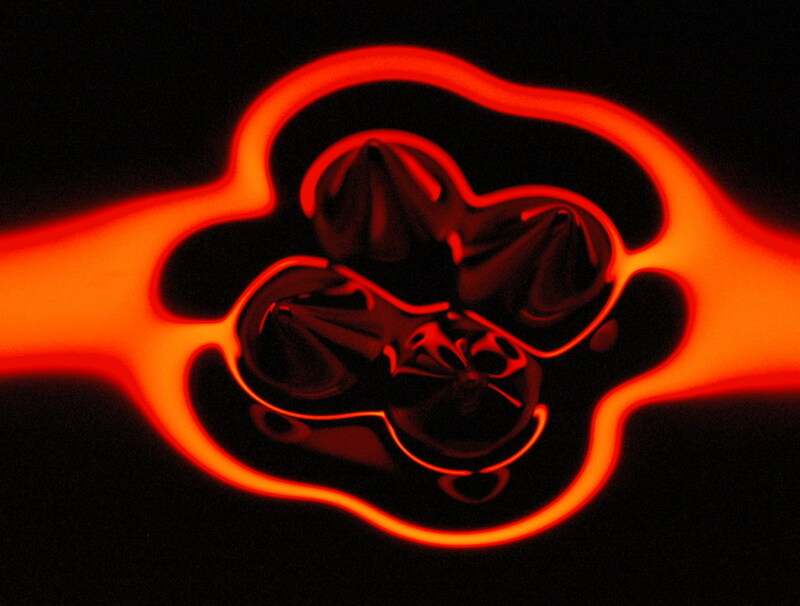 The center photo shows the ferrofluid after slight warming in a flame to get the sheen back. Note the broken spikes in the middle that I removed. 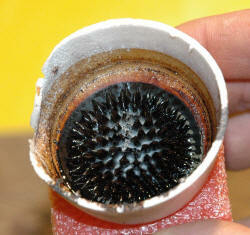 The right photo shows ferrofluid that I hacksawed in half. 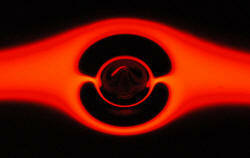 This site has details of even stranger patterns formed in rotating fields. I made this for a public display at the Gravity Discovery Center. The requirements I wanted were that it be interactive, non-messy, low maintenance, and very clearly show the spikes without glare from lights. I built up this solid display cabinet which is free standing and should not tip without a lot of effort. 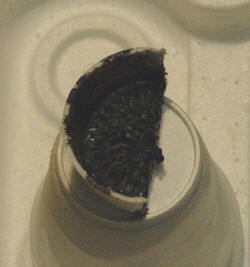 The fluid is held in a replaceable tray which can be removed for cleaning. Lighting is from two shaded fluorescent lights at the side and one direct reflecting neon. 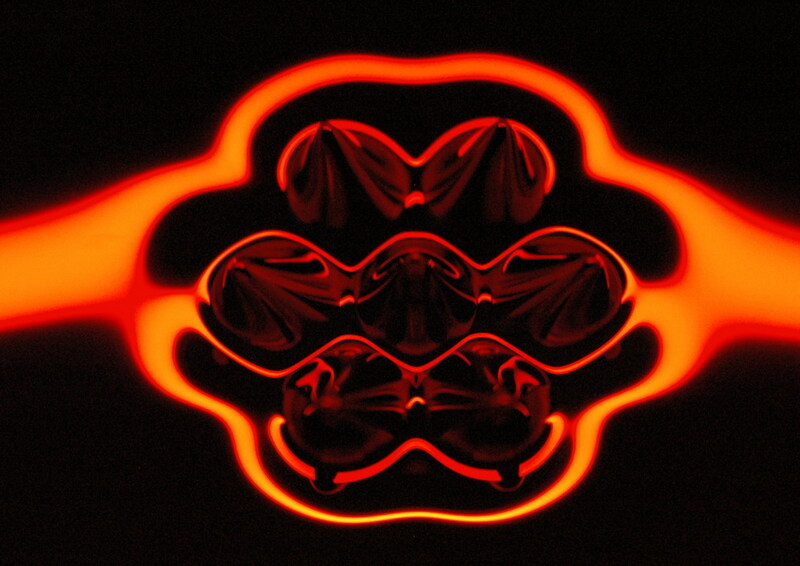 Any small disturbance in the fluid alters the reflected neon light and once spikes form they pick up the light of the fluoros. 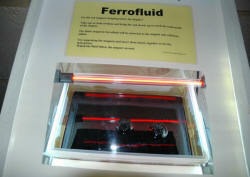 Here are some sample photos prior to installation with neon illumination only. 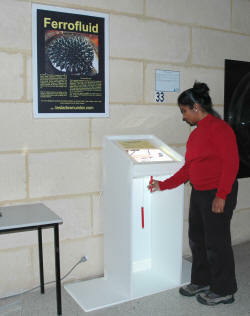 The installed display with two magnets dangling down and the top view. 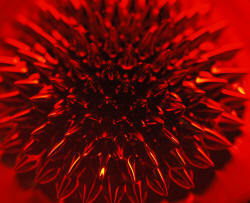 The sloping acrylic front helps prevent reflections (except for the flash used here).